On March 2018, Walt Disney World Resort changed the structure on the 1 day admission adding a difference on price depending when you are going. Universal Studios added the same price structure and Orlando Discount Tickets USA shares with you a great option to get your tickets at discounted price. 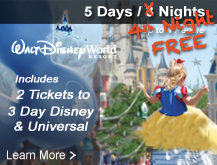 Orlando Discount Tickets USA allows you to get a 1 Day Admission for only $39 dollars per person by participating on a 90 minute resort preview and with the new changes on prices you then will have to take a look for the additional charge depends on the they you select to go. If you don´t want to pay attention to the diffrence on prices you just pay the peak season which with Universal Studios would be $15 dollars more. 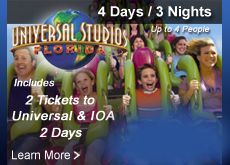 Take a look at the calendar to book properly and at disocunted price your Universal Studios and Island of Adventure. On Peak Season added to your order $15 dollars option. Start boking your vacation packages with Orlando Discount Tickets USA and save a lot on your next vacation to Orlando Florida. Probably you haven’t been in Universal Studios Theme Parks in orlando for a while and planning to come soon remembering some of the most popular attractions that called your attention on your last visit. Well almost every year not only Universal but also other Theme Parks surprise visitors with new rides, shows, looks and atteaction indise the Theme Parks. If you are fan of Universal Studios and planing to come soon Orlando Discount Tickets USA inform to you what is already available on 2018 based on what was opened on 2018 besides the classic rides and attractions. Fast and Furious Super Charged – Located in San Francisco area to the park is an attraction based on the francise film Fast and Furious Supercharged and you as visitors definetly will go into action witg the opportunity to visit the headquertes of Dom Toretto and be part of high speed race with some of the films starts. Cinematic Celebration – Is basically the closing show with new music, water and light show effects with some of the park favorite films like Harry Potter, Minios, Fast and Furious and much more. If you are looking to visit Universal Studios Theme Parks explore Orlando Discount Tickets USA vacation packages starting at $169 dollars including 4 days and 3 nights with tickets for 2 people for 1 day at Universal Studios and Island of Aventure and also you can get admissions for 1 day for only $39 dollars per person. Crecimiento de turismo en Orlando y tiempo propicio de visita. Si usted ha viajado o Orlando Florida en los 3 anos anteriormente consecutivo podrá diferenciar como el trafico del aeropuerto es un grand indicadores del aumento de turistas en la ciudad en su gran mayoría por supuesto para visitar los parques temáticos de Disney, Universal Studios, Seawolrd or Legoland. Florida es uno de los lugares mas visitados en el mundo pero en definitiva el grado de visitas aumenta, estadísticas muestran como, cuando el trafico de turistas aumenta; incrementa también los costos de viaje lo cual se va reflejado en un incremento en las tarifas de hoteles y resorts, y esperas eternas en la linea de las atracciones dentro del parque. Aparte del alto trafico de turistas en los parques temáticos, usted debe considerar mas no sentirse limitado por las condiciones climáticas de humedad de la Florida con épocas de lluvia desde Mayo hasta Octubre. A partir de Octubre y aproximadamente hasta abril es cuando ocurre la época de pocas lluvias en Orlando. Septiembre: Es excelente. Cualquier epoca del mes es propicia. Octubre: La ultima semana, sin embargo este atento de dias en que parque de Magic Kingdom o Universal Studios cierran mas temprano para dar lugar a sus respectivas fiestas de Halloween. Diciembre, las 2 primeras semanas. Con certeza su tiempo en los parques tematicos sera espectacular, sin embargo si usted tiene flexibilidad de fechas de viaje consulte paquetes vacaionales o ingresos para los parques tematicos orlandodiscounticketsusa.com donde descuentos sustanciales esperan por usted. With joy for the public Universal Studios finally announced the official date for Fast and Furious Supercharged ride, all the features are awesome and for the lovers of the biggest movie franchise this is a must do adventure.The Supercharged ride is definitely an authentic and immersive experience that recompile the best of the saga of Fast and Furious film. Starting on May 2, 2018 , Fast and Furious Supercharged is a family ride of action, an explosive experience for the adventurous. The components of the ride involves the possibility to join the crew on the ride along side Dom, Letty, Hobbs, Tej and Mia, also riders will presence an authentic recreation of Fast Furious warehouse headquarters with iconincs scenes, 15 supercharged vehicles throught the entire attraction and more. Plan your unforgettable full f action vacation with Orlando Discount Tickets USA this early summer in Orlando paying only $39 dollar per person for Universal Studios Orlando.